(2014). Detection of Her2 Levels in Cancerous Cells Based on Iron Oxide Nanoparticles. International Journal of Bio-Inorganic Hybrid Nanomaterials, 3(3), 157-162.
. "Detection of Her2 Levels in Cancerous Cells Based on Iron Oxide Nanoparticles". International Journal of Bio-Inorganic Hybrid Nanomaterials, 3, 3, 2014, 157-162. (2014). 'Detection of Her2 Levels in Cancerous Cells Based on Iron Oxide Nanoparticles', International Journal of Bio-Inorganic Hybrid Nanomaterials, 3(3), pp. 157-162. Detection of Her2 Levels in Cancerous Cells Based on Iron Oxide Nanoparticles. 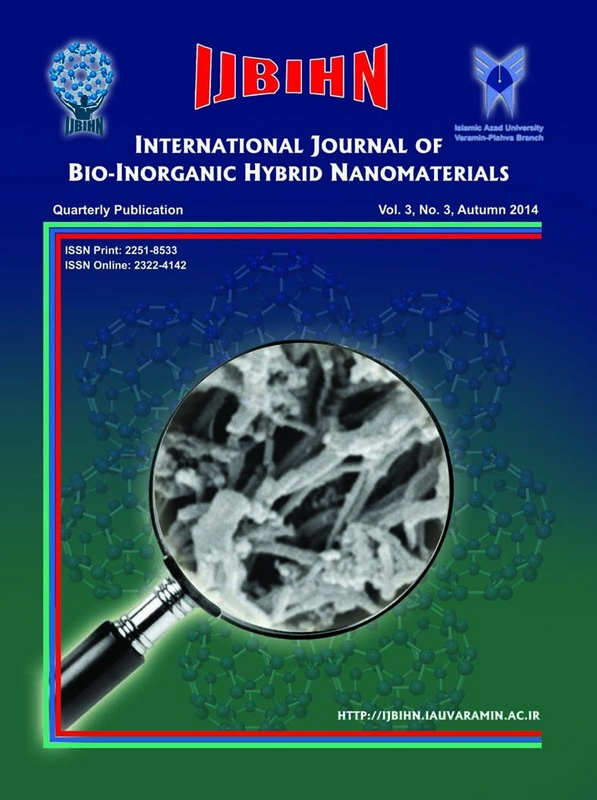 International Journal of Bio-Inorganic Hybrid Nanomaterials, 2014; 3(3): 157-162. In this study, we synthesized Herceptin conjugated magnetic nanoparticles (HMNs) as an alternative probe to discover the levels of HER2 (Human epidermal growth factor receptor-2) in the surface of cells. These nanoparticles can be used by magnetic resonance imaging (MRI) (non-invasive methods) for screening the patients with HER2 positive or negative tumors. Dextran coated iron oxide nanoparticles were prepared using co-precipitation method and conjugated to Herceptin antibody. The stability, cytotoxicity and HER2 specific binding of HMNs was evaluated. The HER2 expression levels of the cells were examined by measuring the signal enhancement in MRI T2 images. The core and hydrodynamic size of HMNs was 10±0.1 nm and 75±15 nm respectively. HMNs were stable up to 8 weeks in pure water and PBS buffer. The specific binding of HMNs by SKBR3, SW480, MCF7, A431 and RAJI cell lines was 19.6±2.5, 8.2±1.2, 7.3±1.3, 6.0±1.7 and 2.3±1.8 pg/cell respectively. The MRI signal enhancement of the cell lines was consistent with the specific binding results. The good characteristics of HMNs demonstrated that it can detect the HER2 levels in the cell surface and be a good candidate to use as a HER2 tracer contrast agent in MRI that needs further investigations.